Democrat Kamala Harris told “The Breakfast Club” she used to get high and smoke joints. Kamala Harris went on to say she would smoke pot in college and listen to Tupac and Snoop. 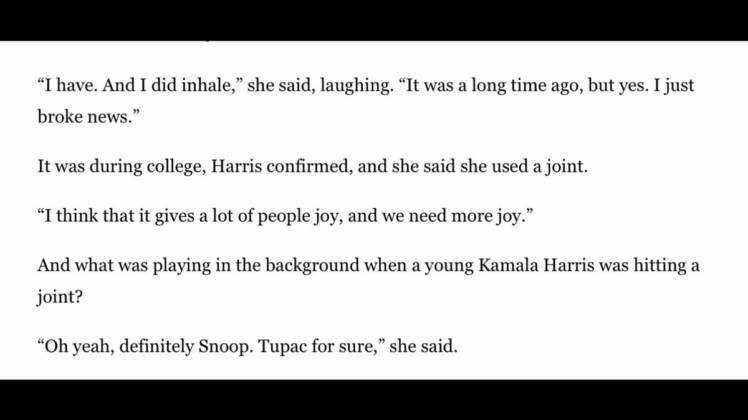 But as Jerry Dunleavy noted, Kamala Harris was in college 10 years before Tupac and Snoop hit the scene.